Design your own cable management system with Rip Tie CableCatch. Each strip uses permanent adhesive to stick to desks and equipment racks. 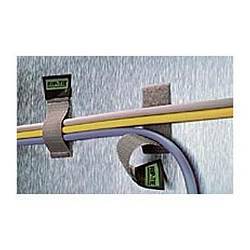 Easy hook-and-loop closures let you quickly add or remove cables. It's the most flexible way to organize all your cable runs!